This metal key holder is a very spectacular product with attractive red color on its border. 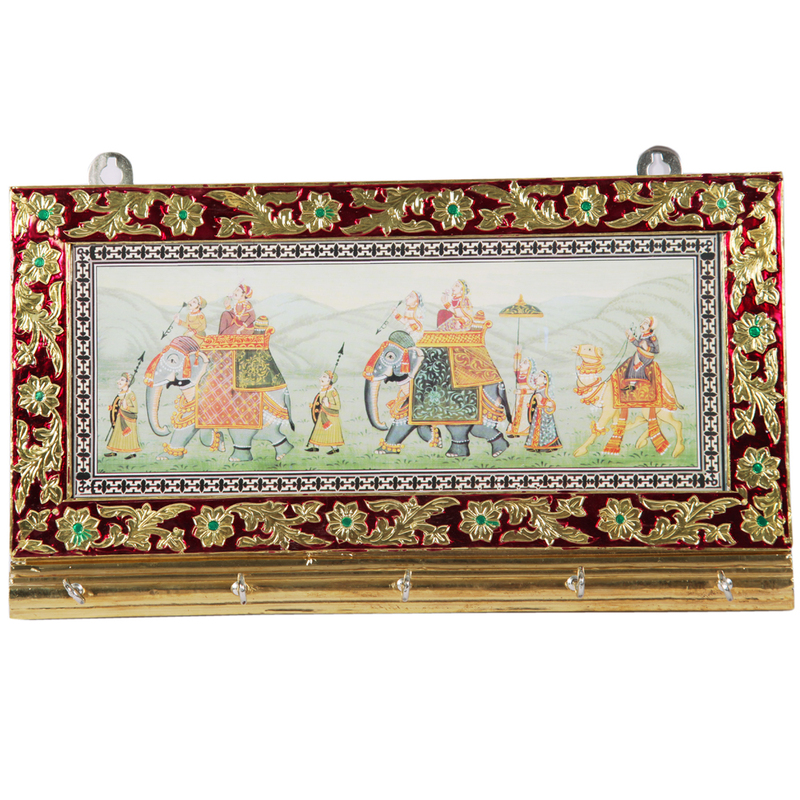 The border is adorned with meenakari work that shows Read More..great detailing. The key holders are fixed at the bottom. Two hooks are attached at the back of the key holder to make a perfect wall hanging. On the front, image of elephants of royal families are depicted. Show Less..